Below you will find access to all standards that My Study Series offers at Level 3 Physical Education for NCEA. By clicking on an achievement standard, you will be presented a list of video lessons for you to observe. Each lesson is concluded with an automated, self graded quiz allowing you to check your understanding of the lesson content. 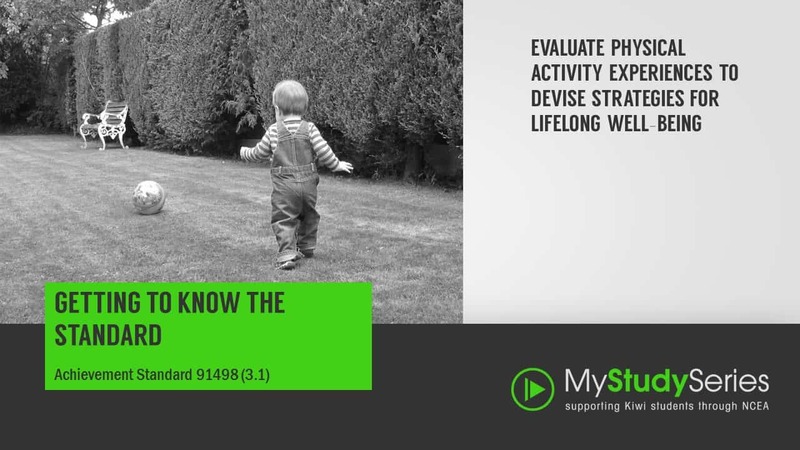 Evaluate physical activity experiences to devise strategies for lifelong well-being. 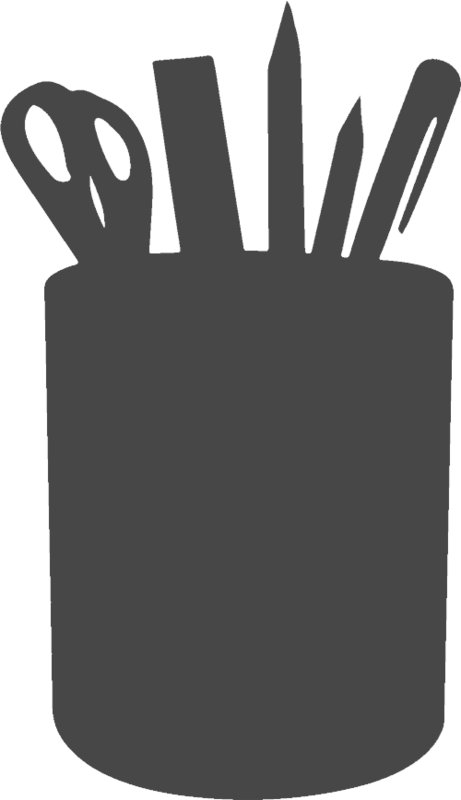 Analyse a physical skill performed by self or others. 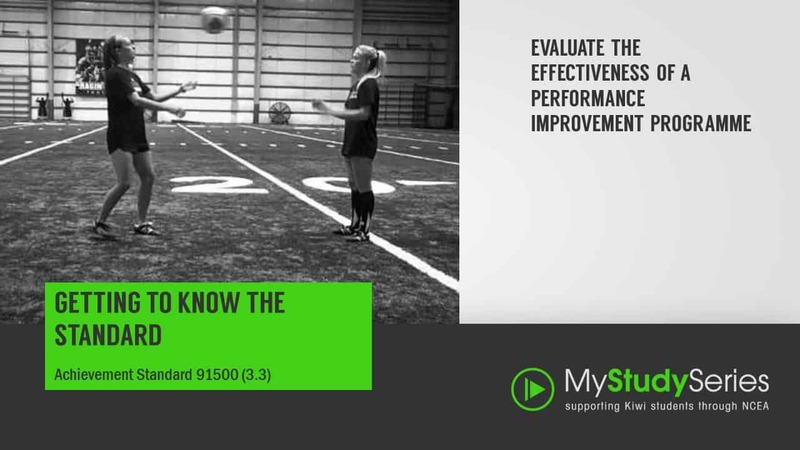 Evaluate the effectiveness of a performance improvement programme. 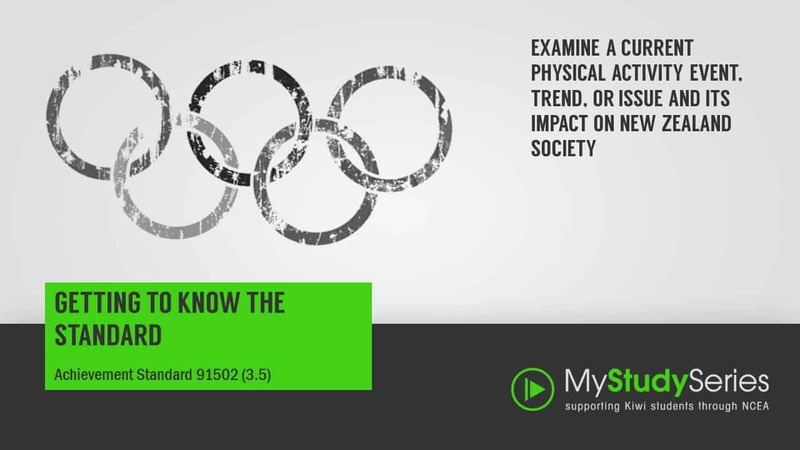 Examine a current physical activity event, trend, or issue and its impact on New Zealand society. 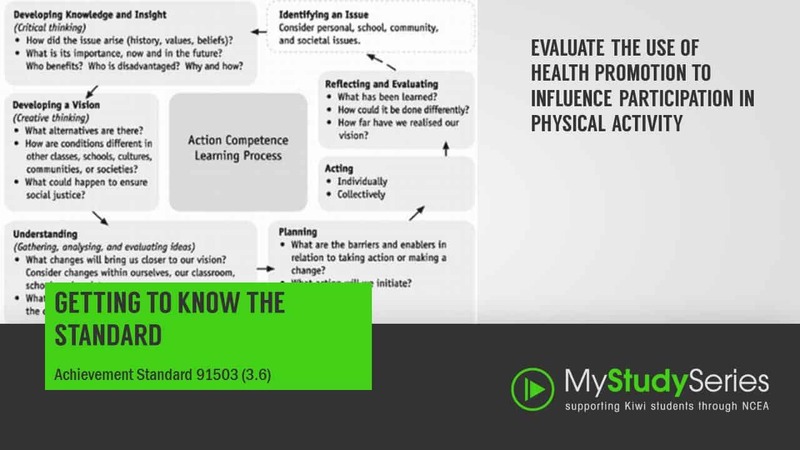 Evaluate the use of health promotion to influence participation in physical activity. 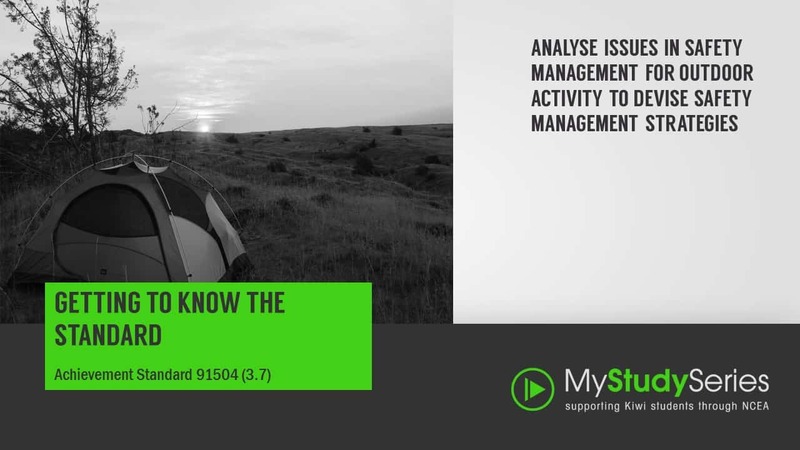 Analyse issues in safety management for outdoor activity to devise safety management strategies. 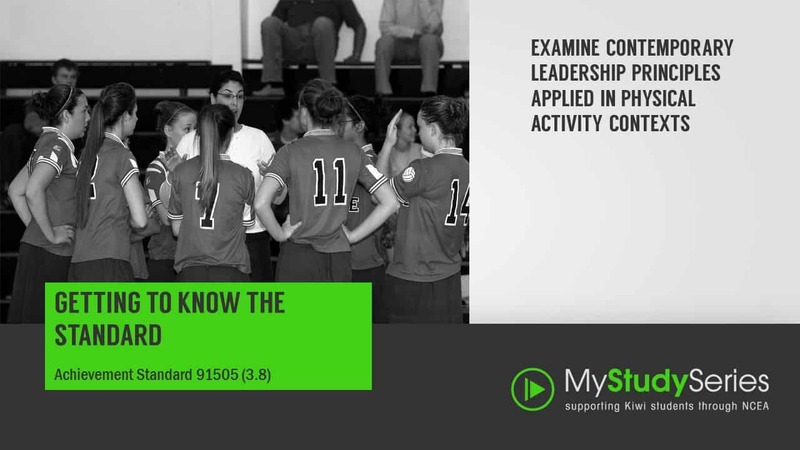 Examine contemporary leadership principles applied in physical activity contexts. devise comprehensive strategies for achieving a physical activity outcome.